A studio painting done from an earlier study and other references. I was keen to try to maintain the immediacy and freshness of a plein air study on this larger scale. The figures were included with the help of photos taken at the time. I was careful to treat these loosely and in the same way as the rest of the painting. I started the painting with acrylic washes to quickly establish values and the positioning of the main elements. Once dried, the painting was continued in oil. Very good work, beautiful. You did better than the others you had made. Thanks monique, this is a more finnished painting done in the studio where many of the others where quick outdoor sketches. I LOVE the outdoor sketches and the spontaneity of them, but I must admit, this studio painting looks very, very special. Really enjoyed viewing it. 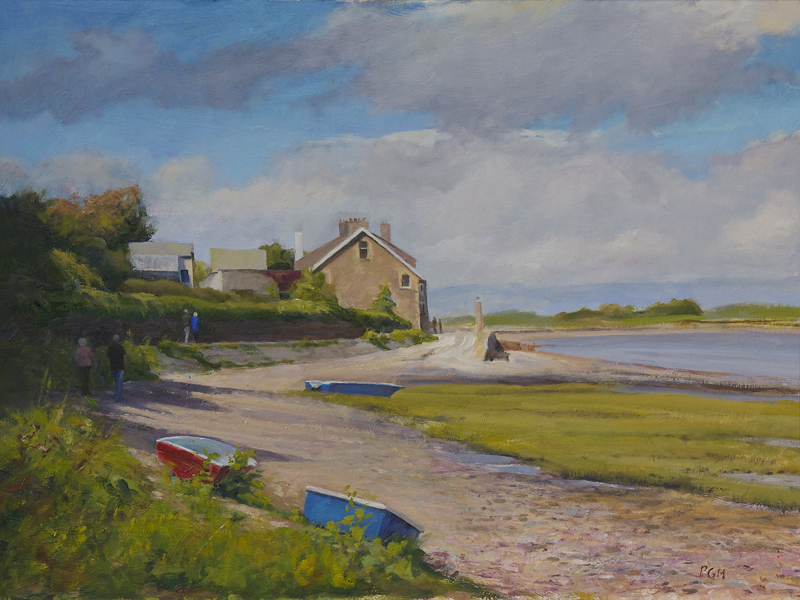 Sunderland Point is a place that I keep meaning to visit but never seem to get around to it. Thanks for your kind comments Tom. It is encouraging to get positive feedback. I try to paint places that I respond to and that's certainly the case around the Lune estuary. I often spend more time just looking and listening than actually painting.